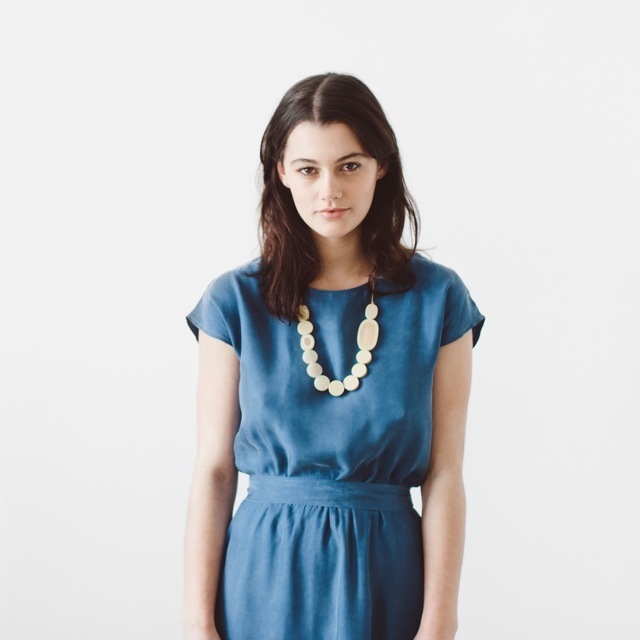 Pebble Necklace is beautifully finished to a soft matte feel. It is hand crafted from resin with inlays of bamboo. Wear it long over an outfit or at a shorter length sitting directly on your body. 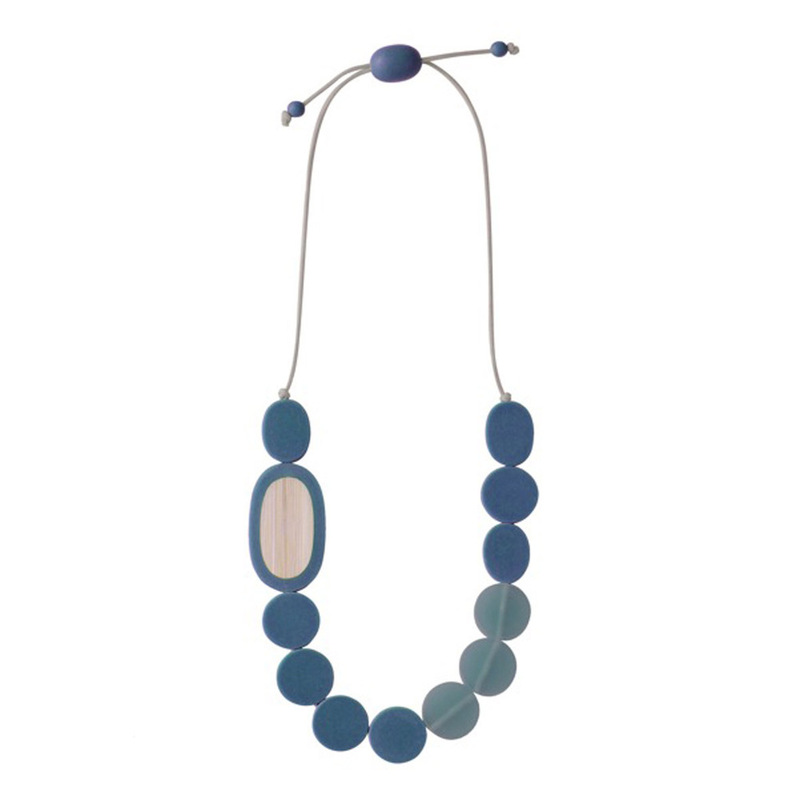 Making: Individual beads are moulded from coloured resin, then sanded and polished to a soft matte finish. Two of the beads are moulded with bamboo to create a natural finish. The beads are strung together on wax coated cotton cord.